Welcome to another edition of Meet The Producers. It gives you a chance to find out about those who are making the tracks you dance and rock to based off a questionnaire they got. The answers that are posted here are not edited. They are shown exactly as they answered it. 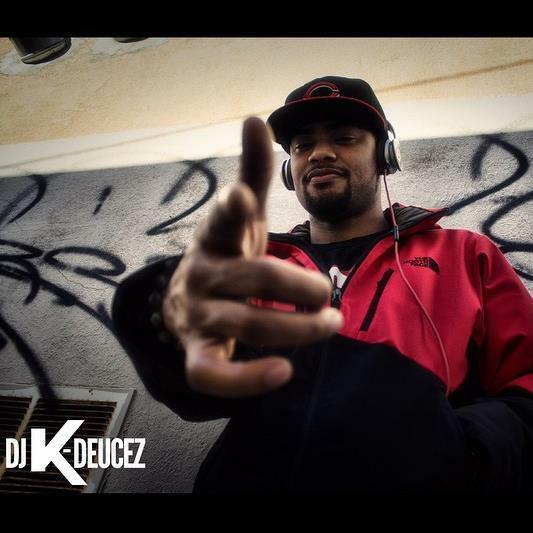 This edition of Meet The Producers features DJ K-Deucez from New Jersey. WHAT GOT YOU INTO CLUB MUSIC: First Got Into Club Music in 2007, Dj’ing Local Events & Hearing Catchy Phrases Looping Over A Bass Pattern. FIRST CLUB TRACK YOU EVER MADE: Swagger Like Us Mixed With Meek Mill – Make Em Say. FAVORITE ARTISTS YOU LISTEN TO NOW: Sliink, RL Grime, Play Piccaso, Tray , Hot Rod, DjProblem, Gutta, Cashmere Cat, Nadus. FAVORITE TRACKS OF YOURS: The Worst – Jhene Aiko, Show Out – Dj K-Deucez, We Are One – Krewella (Solo Version), Selfish – Asia Cruise, Lil Freak – 36 Mafia, Steelo – 702, Lights – Ellie G, My Love – Justin T.
DESCRIBE YOUR SOUND: Left Field, Clean, Ratchet, Mellow, Revolutionary.